The Only official GUI Client is the Snowflake Web Interface. It's elegant, minimalistic, powerful and fully functional and better yet you don't have to install anything, It just runs on your browser. Snowflake also offers SnowSQL CLI. Though it is powerful, Its a command line tool and not really a SQL editor, So let's just ignore that for now. Schema Diffs (though a bit slow) - after cloning production to staging and renaming our "old staging" we like to see if we missed any objects that were on staging but not migrated. Connects to our other data sources with the same client such as RDP MySQL, Postgres etc. 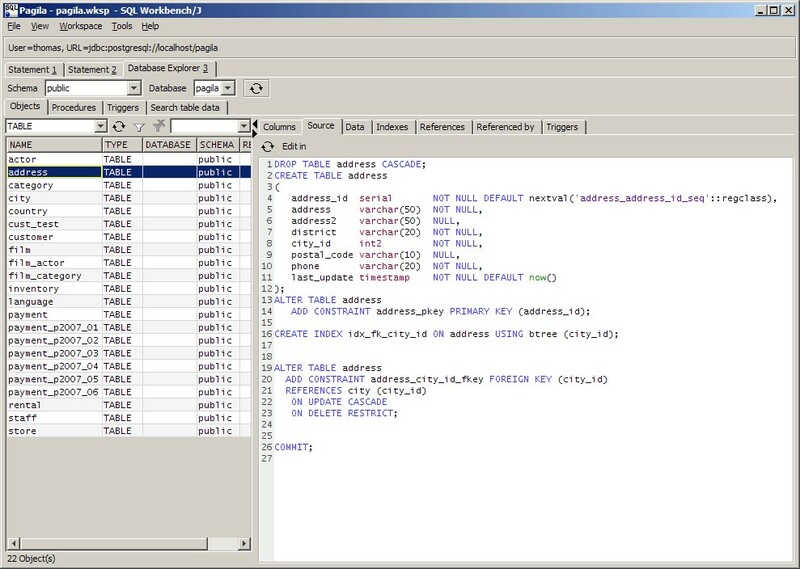 A free SQL query tool various DBMS (PostgreSQL, Oracle, DB2, HyberSQL, and others). You could use SQL Workbench to query Snowflake.